Roof windows differ from skylights in that they do not protrude outwards and can be opened and shut like regular windows. Their easy accessibility and low maintenance requirements make roof windows highly suited to both office buildings and residential homes. 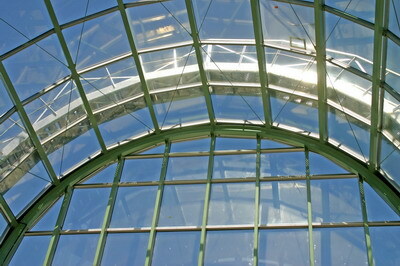 Roof windows are designed to provide maximum ventilation and natural daylight solutions. 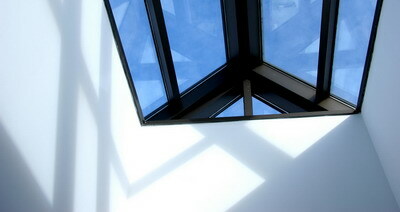 Firstly, Velux roof windows can be easily cleaned due to inward facing glass and accessibility. They can be installed onto roofs with slopes ranging from 18.5-55 degrees, making them suitable for a variety of structures. All Velux roof windows have their glass laminated and insulated, and can of course be covered with a selection of sun screening options (such as light block shade and heat awning). Even if your roof window is closed, it continues to ventilate with a special ventilating flap that blocks the entrance of outside rain and hail. All Velux roof windows can be used as an emergency escape during fire, flood, or any other form of danger, as they open to 45 degrees and are placed in easily reached places. 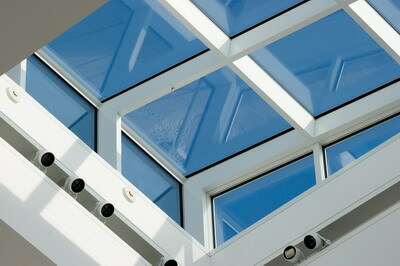 Like all windows, Velux roof windows can be combined with additional fly screens and other accessories such as flashing. The Velux roof window is installed in such a way that it does not obstruct your roofline, and has a warranty of up to 20 years. Phew! Roof windows are unique in design and should be installed by professional roofers only. To install Velux roof windows, or roof windows of another brand, simply call your local Roof 101. All our roof window related services are long lasting and quality exceeding, and based on years of experience.